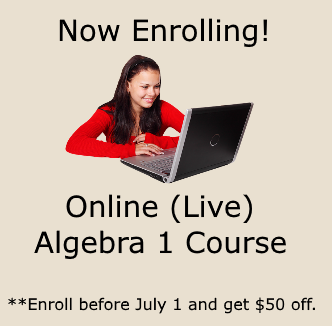 Get Your FREE Algebra E-course Units! There are so many Algebra programs out there to choose from and I am sure that you want to try it out before you buy it! So, just like you would test drive a car, I'm gonna let you "test drive" my Algebra E-course! There are 2 units that you can try absolutely FREE! No credit card is needed! This Pre-Algebra is a mini unit. It is meant to be a quick refresher of the Pre-Algebra skills that are necessary for Algebra 1. You'll learn integer rules, how to use the distributive property, and how to simplify algebraic expressions. The solving equations unit is the very first unit in the Algebra 1 program.In this unit, you will learn to solve all types of linear equations. 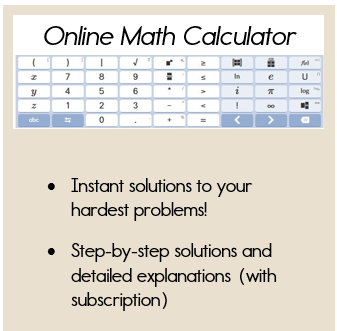 You'll even have access to my Solving Equations organizer that will guide you through the solving process. If you've tried these two units, and still have questions, you can check the FAQ section or send me an email. I'd love to hear from you! I wish you much success in your math studies.